Before we see PTE Academic exam details, let me share my own experiences about these English tests. I was thinking to apply for Australia migration. In order to qualify, one needs to prove his/her English speaking abilities. To prove your command over the English language, non-native English speakers have to attend any of the English language tests like IELTS, PTE Academic, OET, TOEFL or IBT. Among all these exams, IELTS and PTE Academic are the popular ones. I appeared IELTS exam 3 types but didn’t achieve the expected score. Every time I was getting a low score in one of the sections of the IELTS exam. Then I checked on various forums on the Internet and found that PTE Academic exam is much easier than the IELTS and with regular study for around 3 weeks, you can achieve the expected score. (I am not a part of PTE Academic exam in any way and these are just my opinions from my own experience). I started preparing for the PTE academic exam and on the second PTE exam attempt, I got the expected PTE Academic score. I strongly recommend you to at least start checking some of the internet forums and gather information about PTE test. I am sure you will definitely agree with me. So this is all about my opinion and experiences. 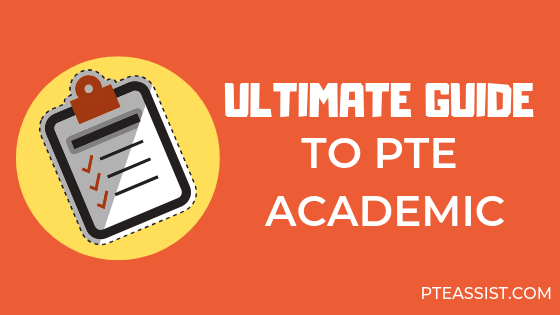 Let’s move on to the ultimate guide to PTE Academic exam in detail. You must be wondering what is PTE? In this informative article, we’ll see the PTE exam particulars in short. PTE stands for Pearson Test of English. PTE exam is a computerized academic English language test especially for non-English language speakers that are wanting to study overseas or migrate into overseas countries. PTE Academic is a standard that assesses the competence in Reading, Writing, Listening and Speaking the Language language. The PTE Academic test outcome is accepted by the majority of the universities worldwide, especially in the united kingdom, Australia, the US, and Canada. It is highly recommended that you check with the college or university that you will apply before registering for the exam. Pearson based PTE Academic in response to demand in associations, governments, and other institutions for a more exact way of examining non – native English language people who want to enter the English-speaking academic states. It is a computer-based exam, which specializes in real life Language employed in academic surroundings. This is to say that integrated language is utilized via the exam and test takers will listen to a lot of different academic and accents language they will encounter at postsecondary higher education institutions. The examination contains an unmarked voice recording of the candidate, which can be an element of advanced biometric information that ought to assist institutions in verifying the identity of applicants and ought to help them with their entry choices. The PTE test is going to be a max of 3 hours and test takers may expect their results to be sent to them, online, within 5 working days. There are two varieties of PTE exams. The PTE Academic, that’s the more popular of both, is the Language test accepted for University research in Australia, the united kingdom, USA, Canada and much more. PTE Academic can be qualified for all Australian visa programs. Therefore, if you’re seeking to migrate to Australia, then PTE Academic is the best option for you. Most individuals do not prefer the PTE General exam. The PTE General score is accepted as legitimate evidence of English language capability by government services and colleges of following nations: Albania, Colombia, Czech Republic, Ecuador, Greece, Italy, Latvia, Lithuania, Mexico, Poland, Spain, Switzerland, UK, Ukraine, Estonia. Even there’s a huge gap between the test format for these 2 tests. From the PTE Academic exam arrangement, you will find four segments (just like IELTS exam) – Reading, Listening, Speaking and Writing. Sometime at the PTE General exam, you will find two sections, further split into six segments entirely. The PTE General test has chief two segments – a written document plus a spoken test. The composed sections are further split into listening, reading comprehension and writing abilities segments. PTE exam begins with the Speaking section. The main aim of the speaking section is to evaluate speaking and writing English language ability in an academic environment. In this section, you will hear some recordings and keep in mind.. this is very important that the recordings are played once. You will not get a second chance to listen to the recording again. so you should pay complete attention while the recordings are getting played. An erasable notepad and pen which you can get at the exam center can be used to take down the notes while listening to the recordings. You can use these notes to answer the task questions. There is no specific time allotted for the individual Speaking task. Instead, the time is allotted for the entire speaking section. So, use the time wisely. The timer will be displayed at the top right-hand corner of the computer screen. Now we are going to see the details of different PTE speaking section tasks. PTE Read Aloud -This task requires you to read the text displayed on the computer loudly into your microphone. Total 6-7 questions of this type can appear in Read Aloud type. This type can appear in Read Aloud type. This task checks the reading and speaking English language ability of the test taker. You can expect the text or recording length up to 60 words. PTE Repeat Sentence – Here you will listen to a sentence and then you need to repeat the sentence into your microphone. You can expect 10-12 questions of such type. This task checks the listening and speaking abilities of the test taker. Recording length will be 3-9 seconds and time allotted to answer is 15 seconds. 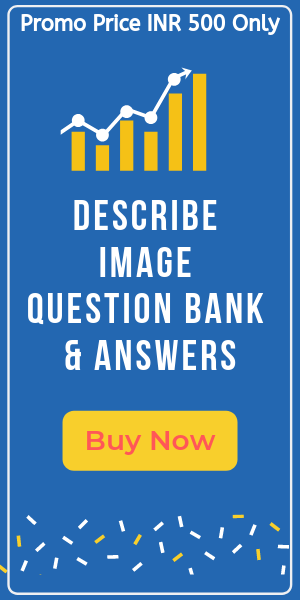 Describe Image PTE – In this task, an image that could be a map, graph or chart will be displayed on the screen along with the question. You need to describe the image in detail into your microphone. You can expect 6-7 questions for such type. The test taker’s English language speaking ability will be checked with this task type. You will get 40 seconds to complete your answer. PTE Re-tell Lecture -In this task, you need to listen to a lecture and then you need to re-tell the entire lecture in your own words in the microphone. You can expect 3-4 questions for such type. The test taker’s English language listening and speaking abilities will be checked with this task type. You will get 40 seconds to complete your answer. PTE Answer Short Question – In this task, you need to listen to a question and then you need to answer it in the correct one or a few words. You can expect 10-12 questions for such type. The test taker’s English language listening and speaking abilities will be checked with this task type. You will get 10 seconds to complete your answer. In PTE writing, mainly test takers writing and reading English abilities are tested. Test taker needs to type the answer in the given area. There are 2 types of questions asked in the PTE Writing section. Now we are going to see the details of the PTE Writing section tasks. PTE Summarize written text -This task requires you to read the passage displayed on the computer and then write a one-sentence summary of the passage of between 5 – 75 words. Total 2-3 questions of this type can appear in Summarize written text. This task checks the reading and writing the English language ability of the test taker. You need to finish this task in 10 minutes. PTE Write essay – This task requires you to write an essay of 200-300 words on a given topic. Total 1-2 questions of this type can appear in PTE writing. Time allotted to answer is 20 minutes. The test taker’s English language writing ability will be checked with this task type. In PTE Reading, there are different types of tasks being asked. Mainly reading skills are tested based on the answers of the test takers. Here are the details of tasks asked in PTE Reading section. Multiple-choice, choose single answer -This task requires you to read the passage and answer a multiple-choice question on the content or tone of the text by selecting one correct response. Total 2-3 questions of this type can appear in PTE reading section. This task checks the reading English language ability of the test taker. The passage could be up to 300 words. Multiple-choice, choose multiple answers -This task requires you to read the passage and answer a multiple-choice question on the content or tone of the text by selecting more than one correct option. Total 2-3 questions of this type can appear in PTE reading section. This task checks the reading English language ability of the test taker. The passage could be up to 300 words. Re-order paragraphs -This task requires you to arrange the given texts in the proper order. Total 2-3 questions of this type can appear in PTE reading section. This task checks the reading English language ability of the test taker. The texts could be up to 150 words. Reading: Fill in the blanks – This task requires you to drag words or phrases listed in the given box to fill in the blanks. Total 4-5 questions of this type can appear in PTE reading section. This task checks the reading English language ability of the test taker. The texts could be up to 80 words. Reading & writing: Fill in the blanks -This task requires you to fill in the blanks by selecting the correct words from dropdown list options. Total 5-6 questions of this type can appear in PTE reading section. This task checks the reading English language ability of the test taker. The texts could be up to 300 words. In PTE Listening, there are different types of tasks being asked. Mainly listening, reading and writing skills are tested based on the answers of the test takers. The details of tasks asked in PTE Listening section. Summarize spoken text -This task requires you to listen to a recording and then write a summary in 50-70 words. Total 2-3 questions of this type can appear in PTE Listening section. This task checks the listening and writing the English language abilities of the test taker. The length of the recording is 60-90 seconds. Multiple-choice choose multiple answers -This task requires you to listen to a recording and then answer the multiple-choice question on the content or the tone of the recording by selecting more than one option. Total 2-3 questions of this type can appear in PTE Listening section. This task checks the listening English language ability of the test taker. The length of the recording is 40-90 seconds. Fill in the blanks -The written script appears on the screen. This task requires you to listen to a recording and then type the missing words into the blanks. Total 2-3 questions of this type can appear in PTE Listening section. This task checks the listening and writing the English language abilities of the test taker. The length of the recording is 30-60 seconds. Highlight correct summary – This task requires you to listen to a recording and then select the text that best summaries the recording. Total 2-3 questions of this type can appear in PTE Listening section. This task checks the listening and reading the English language abilities of the test taker. The length of the recording is 30-90 seconds. Multiple-choice choose single answer – This task requires you to listen to a recording and then answer the multiple-choice question on the content or the tone of the recordings by selecting one correct option. Total 2-3 questions of this type can appear in PTE Listening section. This task checks the listening English language ability of the test taker. The length of the recording is 30-60 seconds. Select missing word – This task requires you to listen to a recording and then select missing word or words that could complete the recording. Total 2-3 questions of this type can appear in PTE Listening section. This task checks the listening English language ability of the test taker. The length of the recording is 20-70 seconds. Highlight incorrect words -The transcription of the recording appears on the screen. This task requires you to listen to a recording and then identify the words in the written script that differ from what is said. Total 2-3 questions of this type can appear in PTE Listening section. This task checks the listening and reading the English language abilities of the test taker. The length of the recording is 15-50 seconds. Write from dictation – This task requires you to listen to a recording and then type the sentence in the given box.. Total 3-4 questions of this type can appear in PTE Listening section. This task checks the listening English language ability of the test taker. The length of the recording is 3-5 seconds. How to Check PTE Academic Exam Dates & BOOK Exam? Its very simple to book PTE academic exam. First, you need to login to the official Pearson PTE website and create an account. Once you create an account, you need to check available PTE exam dates and then schedule the PTE exam based on availability for your preferred location and PTE exam dates. Then make the payment for the test. Note: You must provide the valid IDs for booking for the exam. For example, passport, Aadhar Card. PTE Exam Results are officially available after 5 working days as per mentioned on the website but for my case, it was available after 2 working days and in most cases is available in 2 business days. You should read the tips and strategies that I have listed to crack PTE with flying colors. Also, I would suggest you go through the PTE collocation list. Here is the list of books I referred and was able to score well. Please be aware of the free online material as I found most of the cases it is fake. The free online material level and format is not as per actual PTE test. #1 First of all the main point is Practice, practice and Practice more at home before taking the actual PTE test. 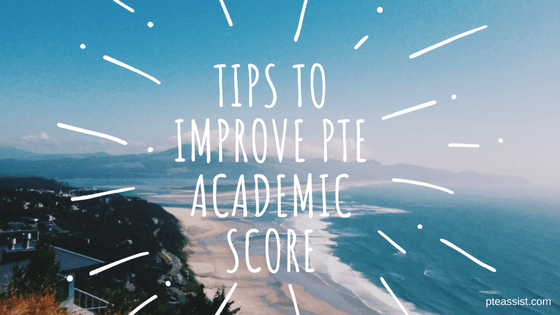 PTE Academic practice is the most important thing to get the desired score in the exam. #2 Understand the test format and how scoring is done for each task as each task is scored differently based on different skills. So, first familiarize yourself with PTE exam format and all the tasks asked in PTE. #3 Follow the time limit for each question in PTE. Make sure you understand how much time is allotted for each question in PTE before going for the PTE test. #4 Pay utmost attention to your fluency and pronunciation in PTE Speaking section. Do not repeat your answer or take long breaks as the microphone stops working after 3seconds of pause. Speak clearly in the microphone and adjust the position of the microphone properly. At home, while practicing, record your answer using the properly positioning the microphone so that you will be aware of which position is best suitable for you. After recording your own answer, try to listen and find mistakes by using the grading criteria for that task. #5 Focus on your intonation and try to be natural while speaking. #6 Plan your essay in the first 2 minutes and then start writing. Finish writing before 1 min so that you will get 1 min time to check for punctuation mistakes. #7 Be careful with your typing errors. Since PTE exam is a computer-based test, any typo mistakes will be taken as a spelling error by the computer and might lower your PTE Academic score. #8 In the PTE Reading section, time management is very important. Do not spend more than 2 minutes on one task. #9 Familiarize yourself with the native English accent and pronunciation for the PTE Listening section. You can answer a question only when you understand what is asked in the recording. #10 CONCENTRATION is the key for most of the questions. For example, repeat sentence: close your eyes and don’t think anything else while you are listening. You need full concentration to listen and memorize the phrases rather than words. #11 Try to use good powerful strong words while answering any question. Vocabulary is very crucial for scoring 79+ in PTE. #12 Last but not least, please carry your documentation or ID proof for PTE exam. It is the most essential thing for appearing for the exam. #1 Overconfidence: You might think that you can crack easily as your English ability skills are the best and you might neglect on practicing more. This could be a disaster as there are many different types of questions being asked in PTE and you really need to know the format of each of these. #2 PTE test environment: You might be studying in a very quiet place at your home or in the library but the environment at PTE test place is very different as everyone is speaking at the same time, you might feel disturbed while speaking or listening or concentrating on any task. #3 Test anxiety: It’s quite natural to feel a bit nervous for the test and mainly it could be because of its computer-based test and you need to talk to a machine rather to a person. Also, you might feel conscious while talking in the microphone. #4 Typo errors: You really need to pay attention while typing on the computer as you might be familiar with the auto-correction facility and might do more mistakes while typing on the computer. #5 Study material: it’s very crucial that you get the best material for studying for PTE as a free online material is not up to the level of PTE and you might feel that when you are taking the actual PTE exam. #6 Fillers: You use too many fillers while speaking and it could show the computer that you are not fluent in English. Prepare Well & ALL THE BEST FOR YOUR PTE Academic Exam !! !